Wow. This one has been mucho fun in spite of repeated trips to the hardware store. I tried to trace the pin back to the tutorial. Couldn’t find it. Found lots of pics, lots of tutorials, but not one exactly like this. 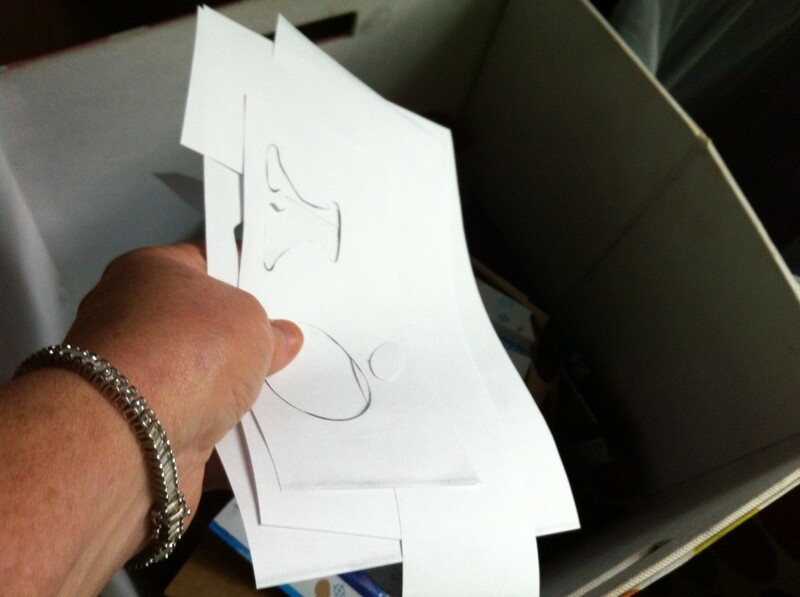 Begin by removing labels from bottles. 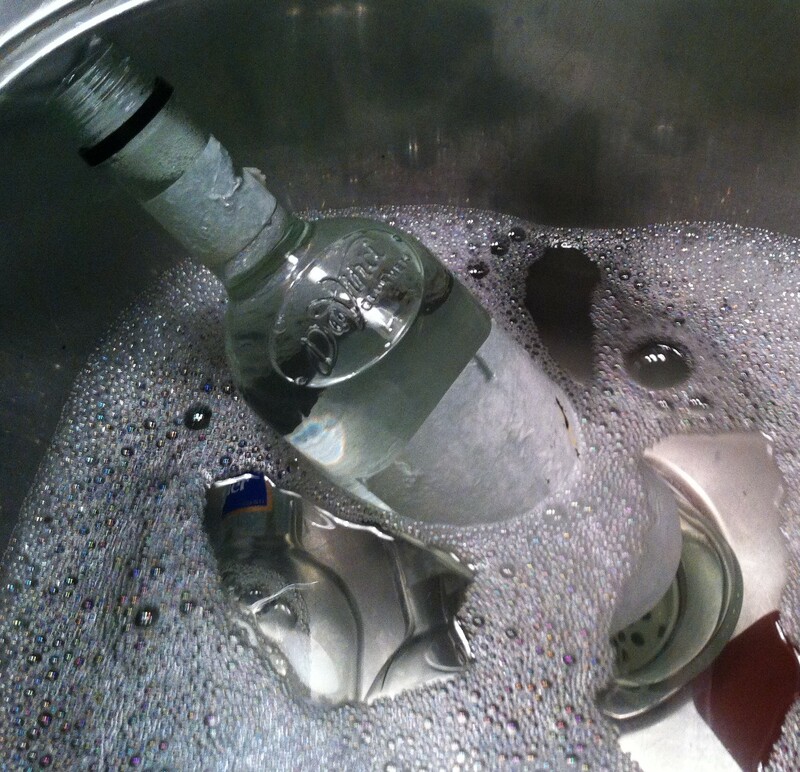 Soak the bottles in hot, soapy water for an hour or so. 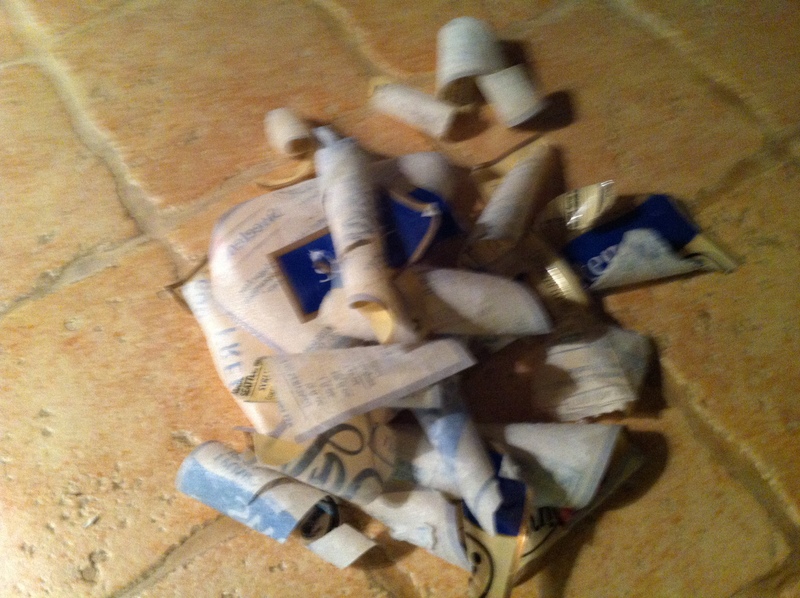 I found this helpful in removing the first layers of paper. Then I started scraping with my handy-dandy scraper and a bottle of Goo Gone. If you have a better method, please share. 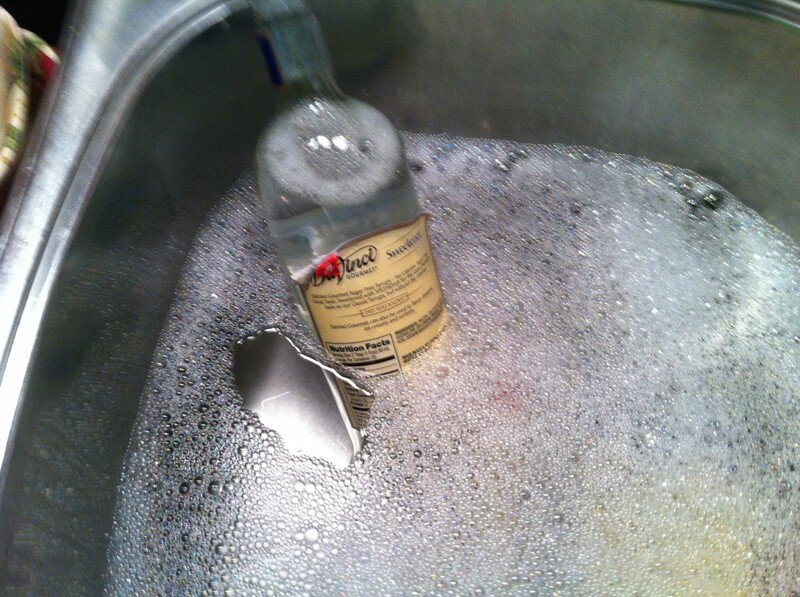 Choose the back of a clean, dry bottle and a spot about ½’ up from the bottom. 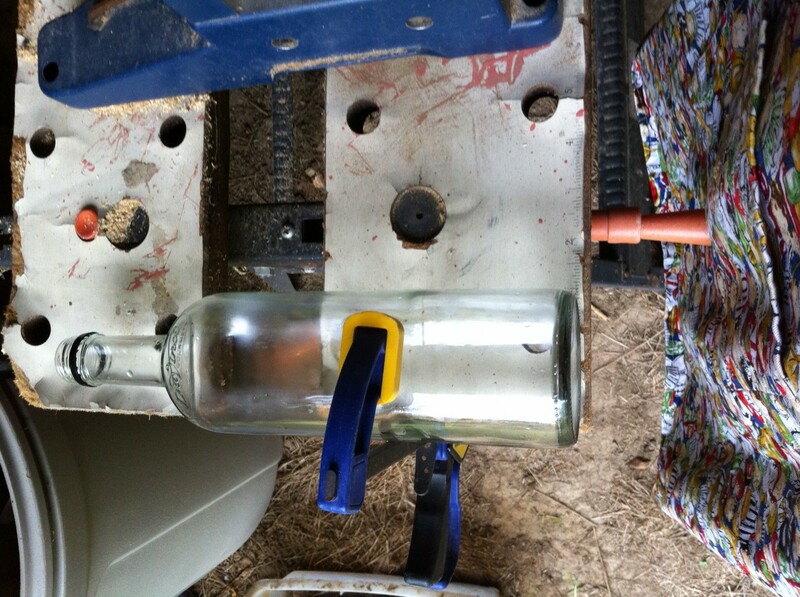 Make sure you are leaving room for any indentations in the bottom of the bottle. Fit your bit into your drill, add safety glasses and a mask, take your time. You don’t want to break your bottles. And Drill. Take it from me, find the ½” bit. Even a slightly smaller bit will not work. Our local large home improvement stores did not have the ½”. I found the bit at a local hardware store. You might want to call ahead and inquire. Don’t you just love that work table? It’s a much-used, well-loved relic. Let me repeat: take your time in drilling. You will see some smoking. Stop occasionally and allow the bit and glass to cool. Rinse the dust from your bottles and allow to dry again. Make your letters and position on bottles. I used the Cooper Black font in size 185 printed on 24# bond and trimmed with an Xacto blade. 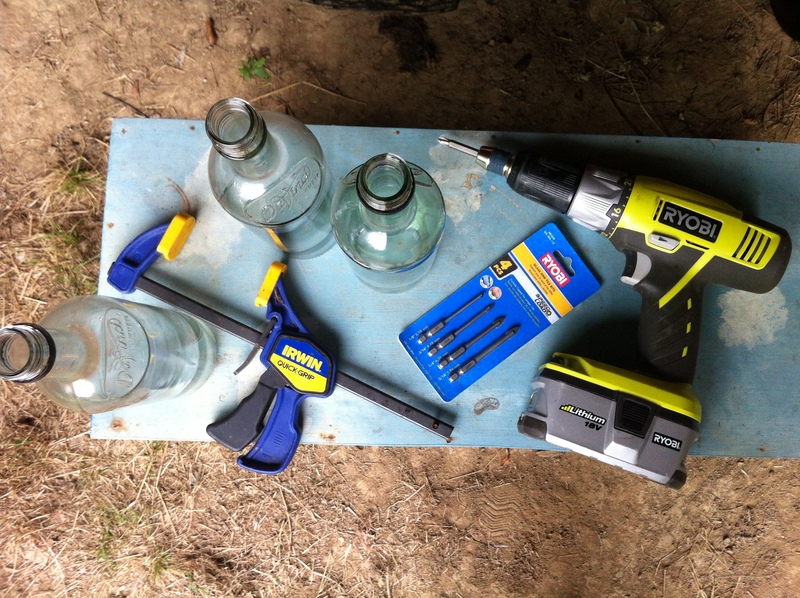 Use a re-positionable adhesive to affix to bottles. 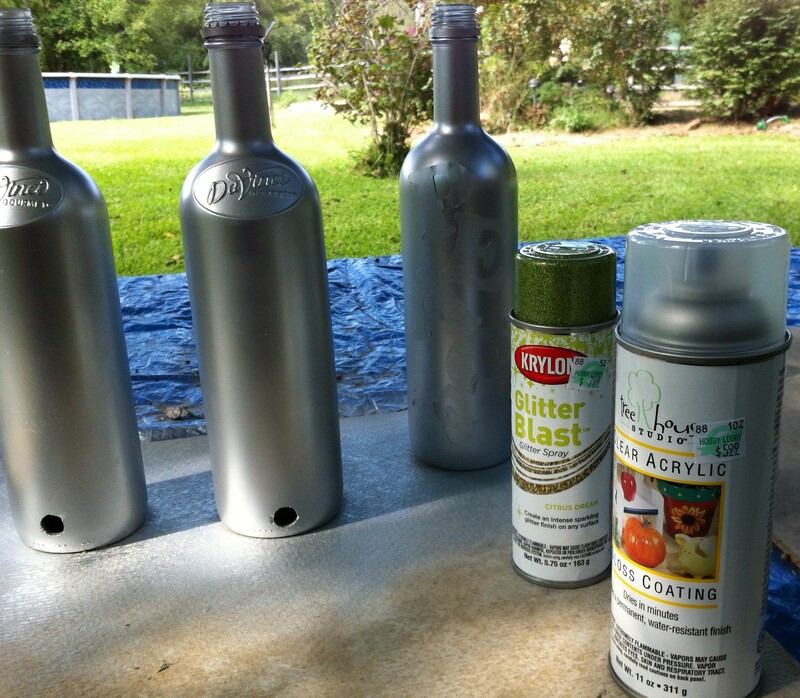 Spray bottles with silver paint. 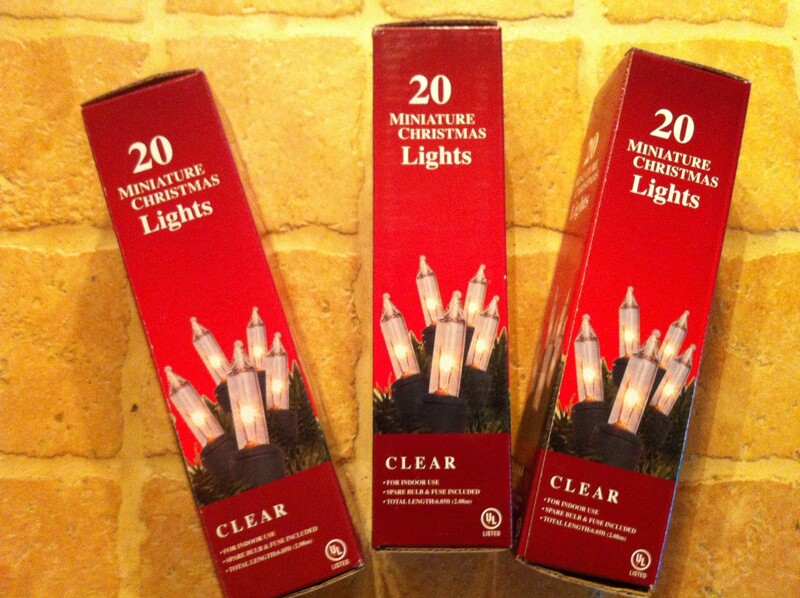 Use 2 or 3 light coats and follow manufacturer’s label directions. I don’t recommend any particular paint. The one I used was NOT a good choice. 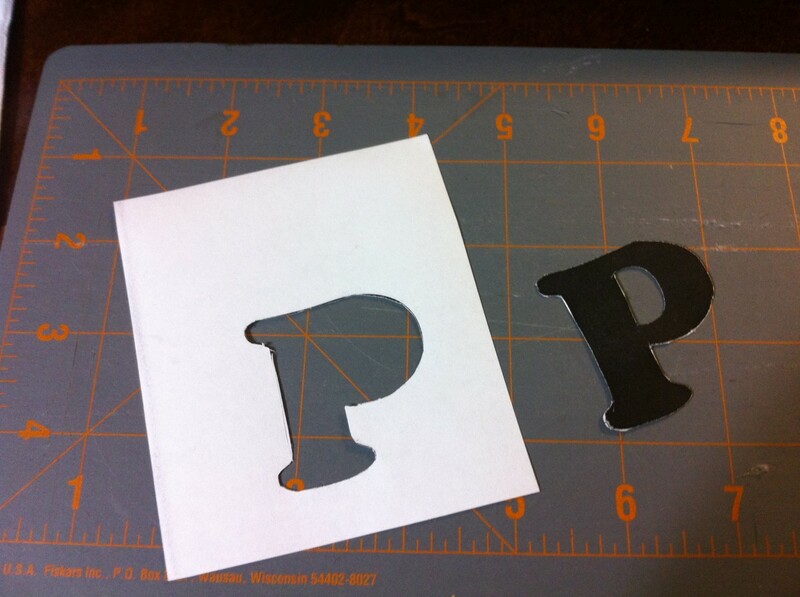 I will probably just find an inexpensive generic silver for my next venture into this crafty endeavor. 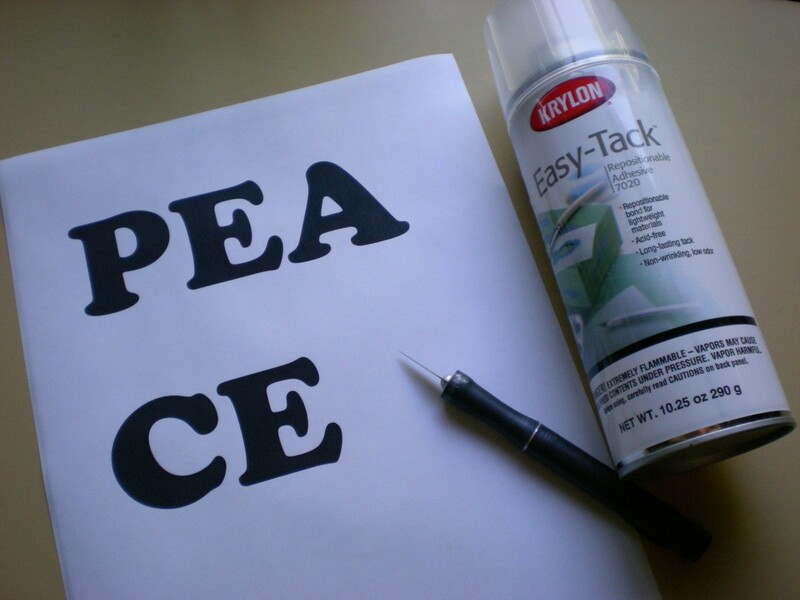 The Xacto blade was most helpful in lifting the letters off. If there is an adhesive residue, you’ll want to clean that gently. Use an even spray. Repeat. 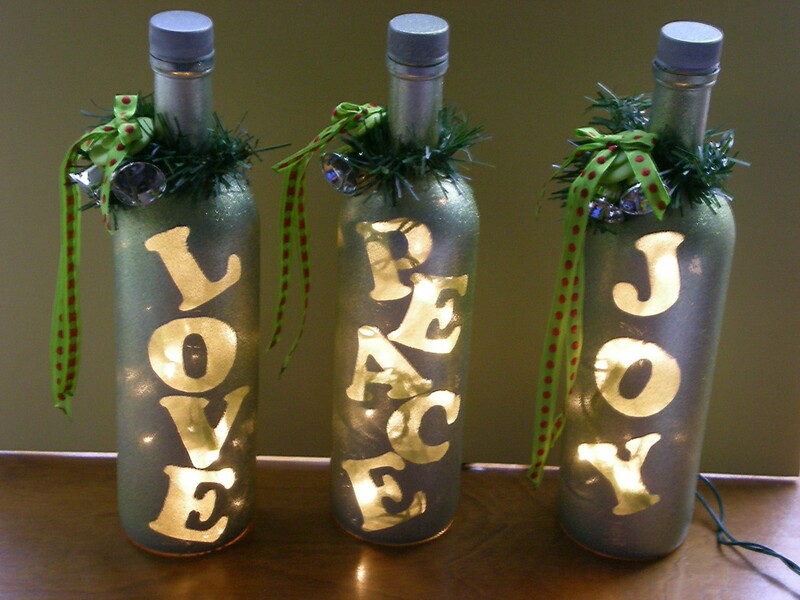 Spray sealer onto glittered bottles. One coat is probably sufficient. I used two. This is the reason you drilled a ½” hole! Make 3 little bows. Great tutorial here. Pass ends of ribbon over a candle flame to stop fraying or use a commercial product if you have one lying around your craft cave. Cut a 14-15” pieces of ribbon. String 2 silver bells onto ribbon. 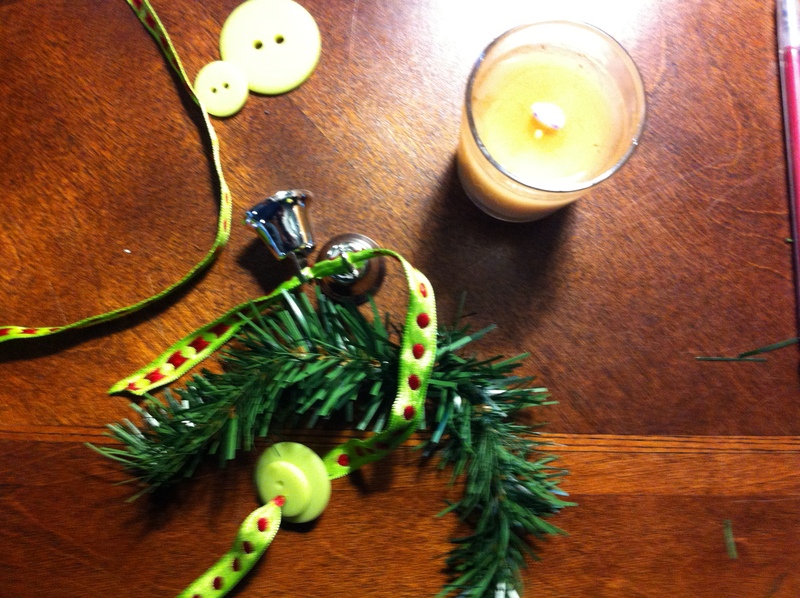 Pull ribbon through two buttons and around greenery. Plug them in and you are done. Sorry about the picture quality. It’s the Learning Curve. Please share pics of your project! If you have any questions, please ask in the comments and I will get back to you. Thanks for stopping by. This one bears repeating. We recycle when we can’t use the glass….either way we do what we can!